Nokia supersedes any company when it comes to customer support. It has invested heavily in customer service networks across the world with full commitment which is now paying off. 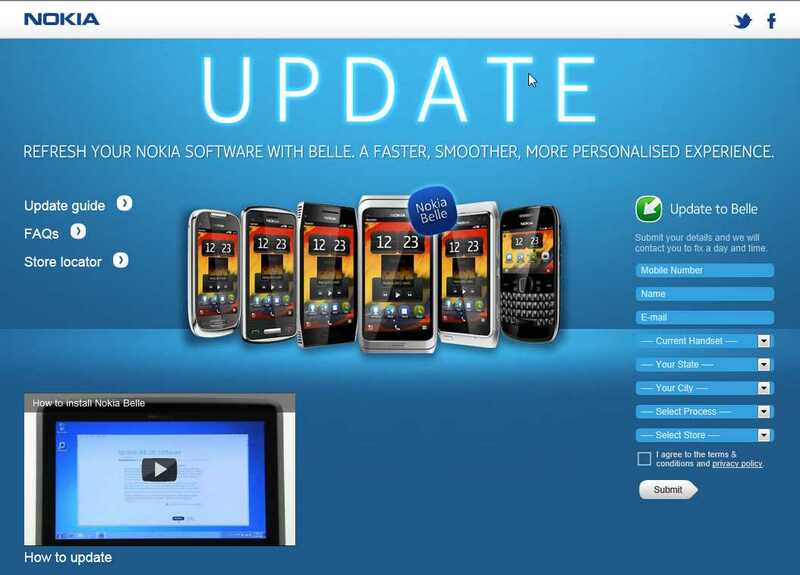 I received a mailer today from Nokia about the latest Belle upgrade. As per the mailer, I can provide my details on this website, select the nearest retailer or care center and I will get a call back and I can drop my mobile at a fixed time. The software upgrade will be done for me by Nokia. However, this appears to be a chargeable process (nominal) although I guess this could be free as well but nevertheless it is definitely a great relief for non-techies. How many times do you see such a service by Samsung or LG or Apple (Excluding USA). The website also contains a guide on the do-it-yourself update process. I believe this belle promotion will be soon/already get extended in other countries. Do post in your comments if you see something like this in your country. Check out the mailer below.